Prozess Pumpen Mono Screw Pump - Sintorn Co., Ltd.
Prozess Pumpen Mono Screw Pump is a progressive cavity pump suitable for pumping low to high viscosity liquids including slurries and paste like liquid. 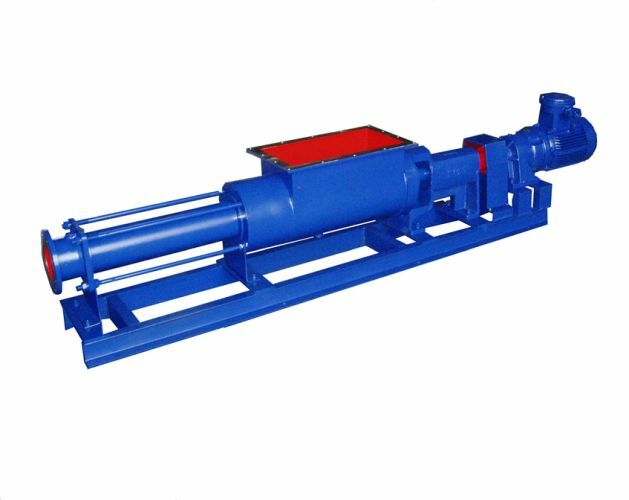 Progressive cavity screw pump is a self priming pump and is available with various different material of construction such as cast iron, steel, stainless steel 304, and stainless steel 316. The stator is available with many different material of rubber such as natural rubber and synthetic rubber such as EPDM and Viton. 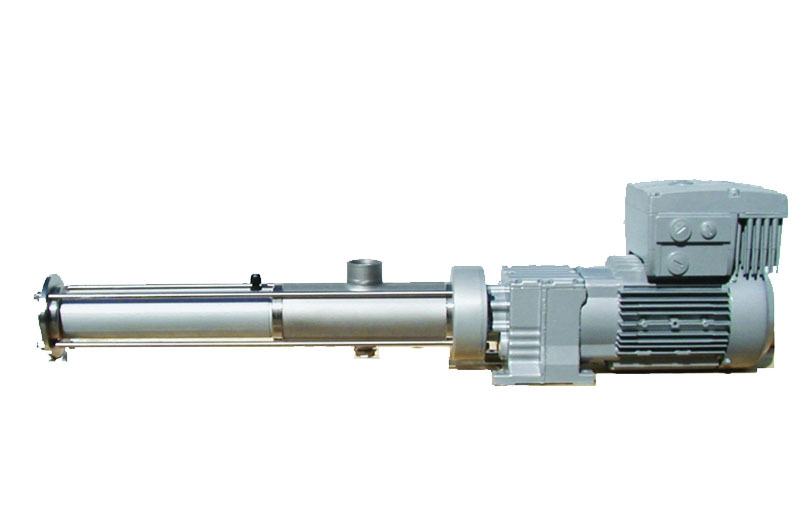 Prozess Pumpen Mono Screw Pump with inlet hopper is suitable for pumping high viscosity liquids or paste like liquid such as ground meat, de-water sludges from waste water treatment process, liquid with high solid contents, slurries, difficult flowing liquids. 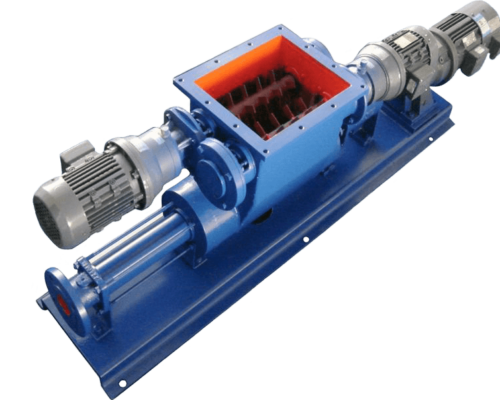 Hopper can be equipped with a screw converyor to mix and assist the flow of the media to the pump. with food stuffs. Screw and all wetted parts are made of stainless steel.